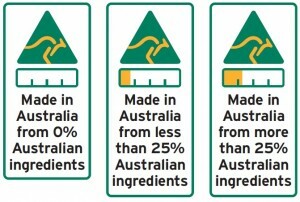 Prime Minister Tony Abbott was joined in a united front by Minister for Agriculture Barnaby Joyce and Minister for Industry and Science Ian Macfarlane this week to unveil the final version of Australia’s proposed new country-of-origin labelling system for foods. 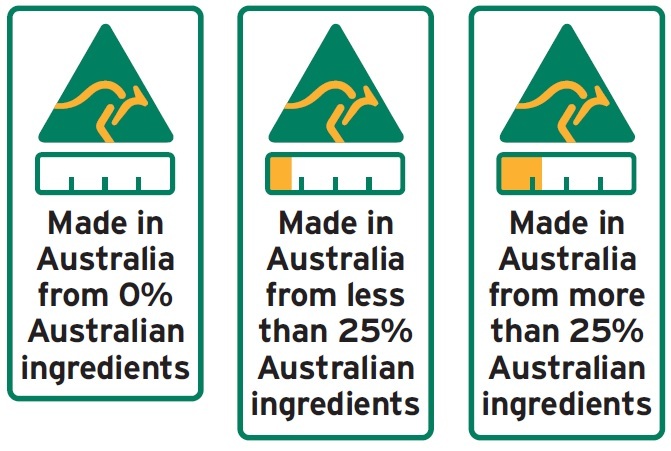 The new system to become mandatory in 2016 (after agreement from states and territories) will require labels for food products made in Australia to contain a country-of-origin symbol with the well-known ‘Australian Made’ kangaroo logo, but with a gold bar and shading underneath. The gold shading of the bar will show whether the product has either No Australian ingredients or less than 25 % Australian ingredients, more than 25% Australian ingredients, more than 50% Australian ingredients, more than 75 % Australian ingredients, or 100% Australian ingredients. FoodLegal lawyer and managing principal Joe Lederman told Australian Food News that while the new system would help inform Australian shoppers about the “Australian-ness” of the ingredients in the products, it is unlikely that food companies will want to modify their labelling to provide extra non-mandatory information about the actual place of origin of many ingredients. FoodLegal’s Lederman said that the sourcing of many ingredients from intermediaries in global markets means different sources of ingredients can apply for different batches at different times of the year or that variances can be caused by seasonal changes or sudden supply and demand conditions. 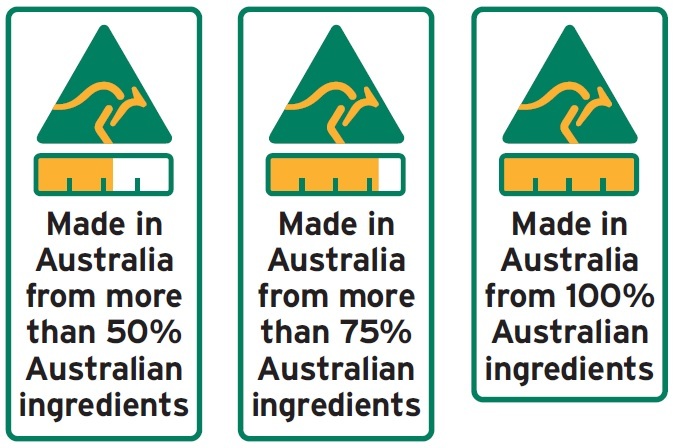 The Federal Minister for Industry and Science Ian Macfarlane said the aim of the new laws was to make it easier for consumers to know exactly where food products and ingredients come from. However, a number of groups, while welcoming the changes, said the labels will provide insufficient information on origins. 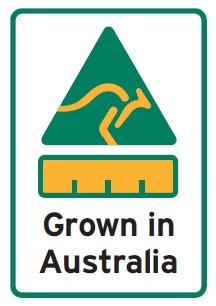 Australia’s consumer advocacy group CHOICE and the horticulture growers representative body, AUSVEG are each amongst the organisations that have welcomed the new labels but with reservations. 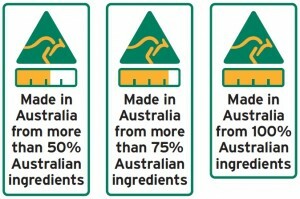 These groups say that consumers will not really know where ingredients come from, since it will only be optional to list the actual country of origin for many important ingredients that come from outside Australia. 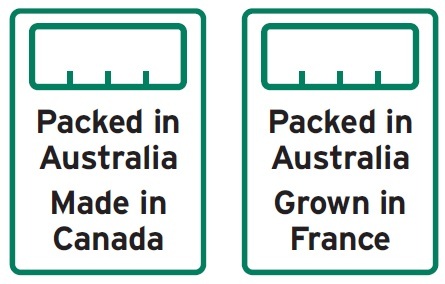 “The Federal Government has taken a big step towards ending the confusion around country of origin labelling, especially for consumers who want to know how much of a product was manufactured or grown locally,” said CHOICE spokesperson Tom Godfrey. “We welcome the Government’s commitment to giving shoppers better information about the Australian-ness of their food, and informing this with consumer testing. “Unfortunately, the new system looks less useful for consumers wanting information about any of the 195 countries that are not Australia. For example, claims such as ‘Made in Australia from more than 50% Australian ingredients’ will have you asking if your frozen berries come from China, Canada or Chile,” said Godfrey. AUSVEG Deputy CEO Andrew White echoed similar sentiments. “While the measures unveiled today are a good first step on the road to a meaningful Country of Origin Labelling system, it is incumbent on the Government to go further and meet the demands of consumers, who have repeatedly indicated they want to know the origins of the food they are buying and eating, and that their food is safe,” said AUSVEG’s Andrew White. “The proposals outlined today fall short of a genuine Country of Origin Labelling system, and will leave consumers none-the-wiser about the origins of imported produce contained in food manufactured here,” White said. The Australian Food and Grocery Council has come out in support of the new labels saying it shows support for Australian jobs. Gary Dawson, CEO of the AFGC, asked that the Federal government show flexibility when implementing the system. However Lederman added that the system could dovetail nicely with new barcode technologies that would allow food companies voluntarily to provide further information about their food product. Mr Lederman also said that by focusing the new law on the Australian-ness of the products rather than on the source of foreign ingredients, the Australian government was less likely to be challenged internationally under the WTO rules because this system would be unlikely to be considered as discriminating against foreign food imports.